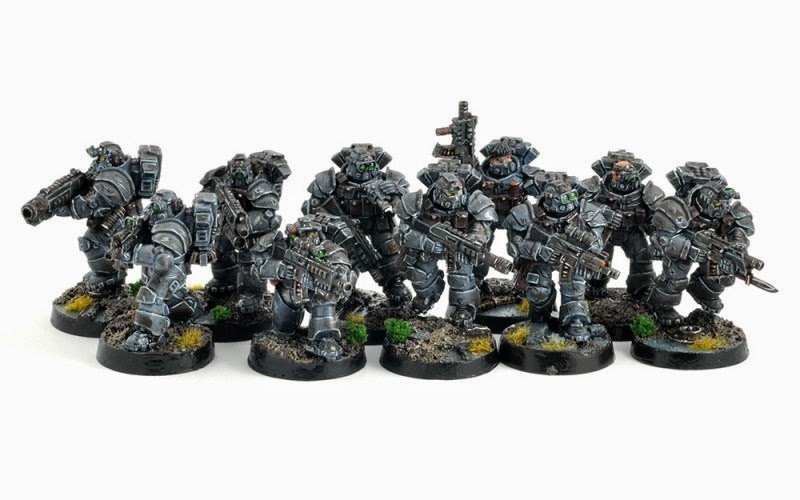 So, I'm sitting here trying to decide what to do for my Sternguard marines. 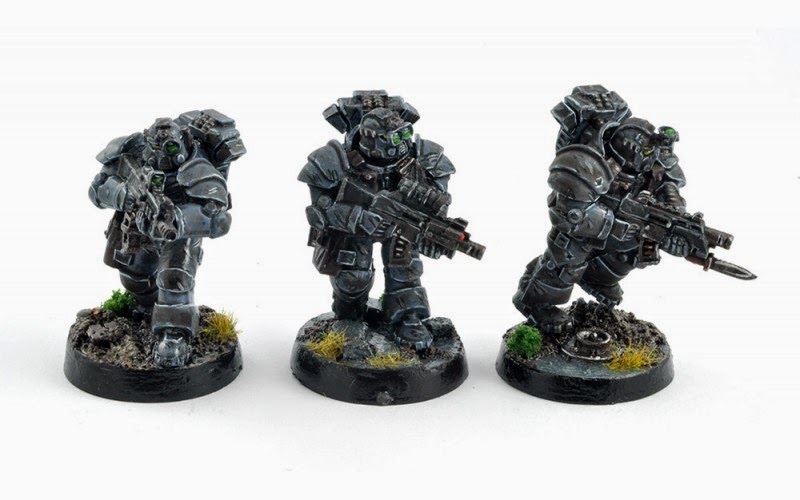 I want to make them different from regular Tacticals, but I don't want to use the GW Sternguard box. There are way too many bits and bobs. I don't want every marine to have so much decoration. 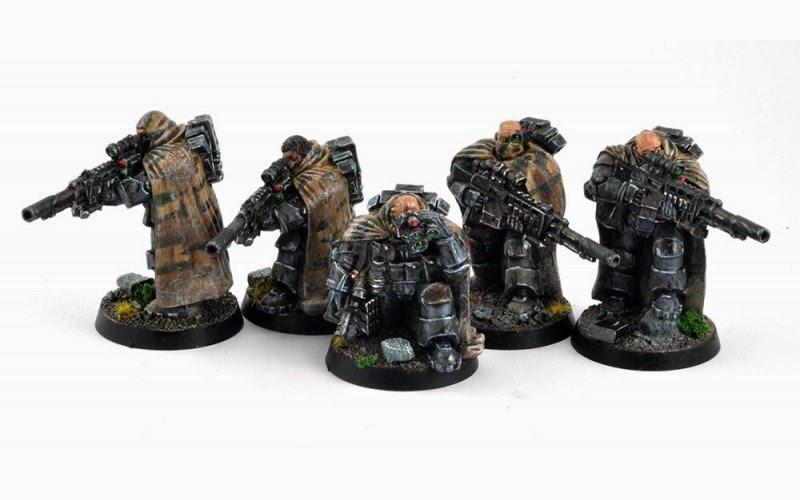 I want them to look like Black Ops marines. The guy who runs this place is great. 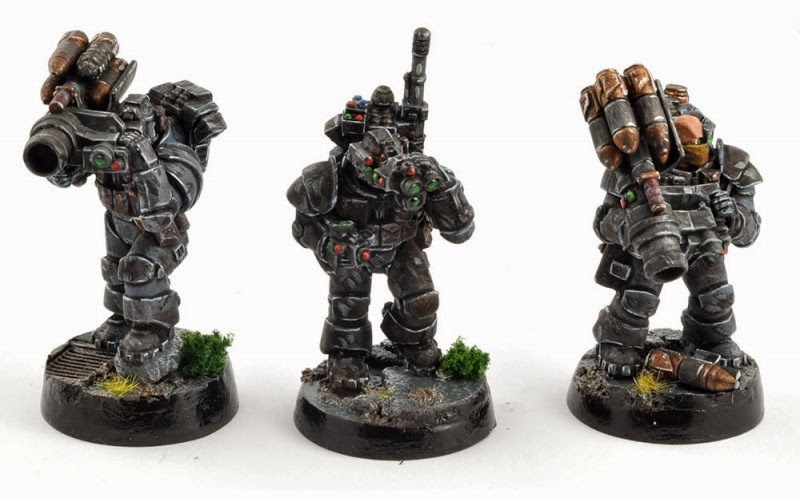 He makes theses "Exolord" models, which are TOTALLY NOT Space Marines... wink, wink. 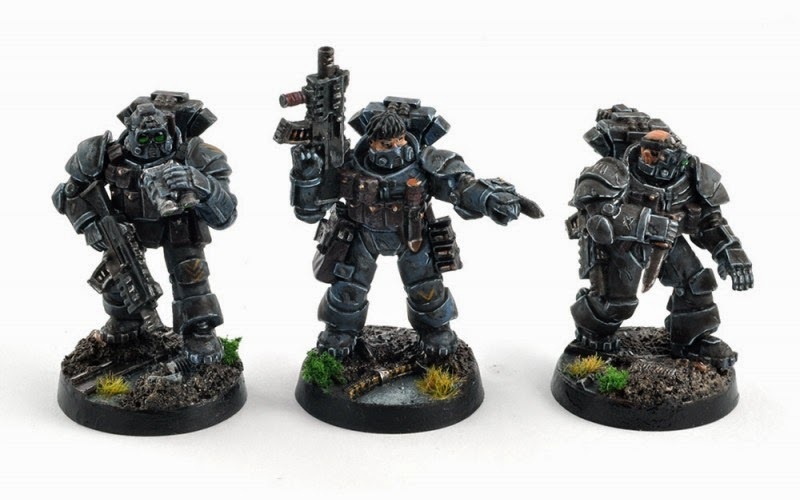 If you swap them out for GW heads and backpacks, they are the perfect Black Ops type marines. 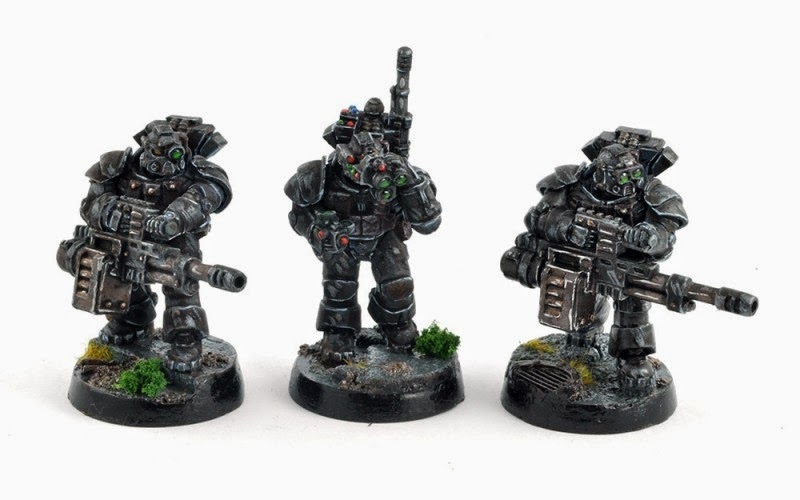 I think these are going to be my Deathwatch Sternguard models. I have 10 on the way. The plan is to give at least one or two a meltagun and the rest standard bolters. I'll be dropping them from a Drop Pod, so they can pop in, kill a tank and they lay down some specialty ammo. Here is an assortment of pictures that he has up as examples. Click on the Anvil Industries link above if you're interested in buying some! As you can see, there are Autocannon, Sniper Rifle and Missile Launcher options. He also has Heavy Bolter and Heavy Flamer options. Add in a full armory section on his website and you have combi-weapons and special weapons covered as well.